Abduh was born in Jakarta, May 1981. He completed his Bachelor of Science (Statistics) from Bogor Agricultural University, Indonesia, in September 2004 and his first master degree, Magister Hukum Islam (Fiqh Al-Mu'amalat) from Ibn Khaldun University, Bogor, Indonesia, in September 2006. He completed his second master degree, Master of Economics (Islamic Economics) from the International Islamic University Malaysia (IIUM) in June 2009. Under the supervision of Prof. Dato' Dr. Mohd Azmi Omar, former IRTI-IDB Director based in Jeddah, Abduh completed his PhD in Business Administration from IIUM with specialization in Islamic Banking and Finance in December 2011. Abduh has written more than 50 journal articles and four books in the area of Islamic finance. The books were published by Fath-Publication (Indonesia) in 2009, WILEY (New Jersey, USA) in 2013, IIUM Press (Kuala Lumpur) in 2016, and UNISSA Press (Brunei Darussalam) in 2017. 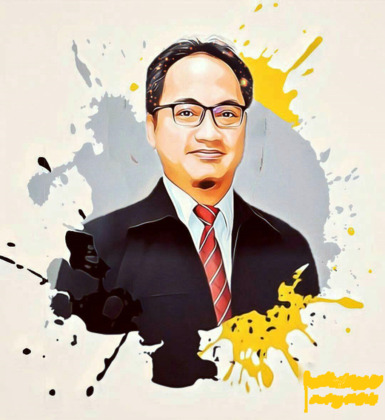 Prior to joining the UBD School of Business and Economics (UBDSBE), Abduh was an Assistant Professor at the IIUM Institute of Islamic Banking and Finance (IIiBF) and the Head of Research for the Institute from 2012 to 2015. He was the founding editor-in-chief of Journal of Islamic Finance. Currently, Abduh is an Associate Editor of International Journal of Islamic and Middle Eastern Finance and Management (a Q2 journal, SCOPUS and Clarivate Analytics ESCI indexed, published by Emerald) and Editor-in-Chief of IQTISHADIA Journal of Islamic Economics and Business (a National accredited Journal and ranked "B" by the Ministry of Research, Technology, and Higher Education of the Republic of Indonesia). Cupian and Abduh, M. (2017). Competitive Condition and Market Power of Islamic Banks in Indonesia. International Journal of Islamic and Middle Eastern Finance and Management, Vol. 10 No 1, pp. 77-91. Abduh, M. and Zein Isma, S.N. (2017). Economic and Market Predictors of Solvency of Family Takaful in Malaysia. Journal of Islamic Accounting and Business Research, Vol. 8 No. 3, pp. 334-344. Abduh, M. (2017). Factors Influencing Russians to Patronize Islamic Financial Products and Services: Case Study in Dagestan and Tatarstan. Journal of Islamic Economics, Banking and Finance. Vol. 13 No. 3, pp. 163-173. Abduh, M. and Hussin, T. M. T. (2017). Factors Influence Intention to Opt for Islamic Investment Schemes among Market Players. Global Review of Islamic Economics and Business. Vol 5, No. 1, pp. 1-11. Abduh, M. (2016). Islamic Banking Service Quality and Deposit Withdrawal Risk: Evidence from Brunei Darussalam. Islamic Banking and Finance Review. Vol. 3, pp. 1-11. 2. Omar, M. A., Abduh, M., and Sukmana, R. (2013). Fundamentals of Islamic Money and Capital Markets. John Wiley & Sons, Singapore. 3. Abduh, Muhamad. (2016). Foundations of Islamic Finance. IIUM Press, Kuala Lumpur. 4. Abduh, Muhamad. (2017). Deposit Withdrawal Behavior in Islamic Banking. UNISSA Press, Bandar Seri Begawan. 4. Abduh, Muhamad and Omar, Mohd. Azmi. (2011). Who patronizes Islamic Banks in Indonesia? In: Islamic Banking & Finance: Issues & Solutions. IIUM Press, Gombak, pp. 73-87. ISBN 9789670225906. 5. Abduh, Muhamad and Ismal, Rifki. (2013). An Empirical Survey on Depositors’ Withdrawal Behavior. In “Islamic Banking in Indonesia: New Perspectives on Monetary and Financial Issues”, Eds: RifkiIsmal, John Wiley & Sons, New York., pp. 303-316. 6. Cupian and Abduh, M. (2016). Competitive Condition and Market Power of Islamic and Conventional Banks in Indonesia. In: Macroprudential Regulation and Policy for the Islamic Financial Industry. Springer International Publishing, Switzerland, pp. 79-99.ISBN 978-3-319-30443-4. 1. Abduh, M., Brahim, S., and Omar, M.A. (2012). A Study on Finance-Growth Nexus in Dual Financial Countries: Evidence from Bahrain. World Applied Science Journal, Vol. 20, No. 8, pp.1166-1174. 2. Abduh, M., Omar, M.A., and Duasa, J. (2011). The Impact of Crisis and Macroeconomic Variables towards Islamic Banking Deposits. American Journal of Applied Sciences, Vol. 8, No. 12, pp.1413-1418. 3. Abduh, M., and Omar, M.A. (2012). Islamic Banking and Economic Growth: The Indonesian Experience. International Journal of Islamic and Middle Eastern Finance and Management, Vol. 5, Issue 1, pp. 35-47. 4. Abduh, M., and Abdul Razak, D. (2012). Customers’ Attitude and Purchase Intention towards Diminishing Partnership Home Financing in Islamic Banking. American Journal of Applied Science, Vol. 9, No. 4, pp. 593-599. 5. Abduh, M., Dahari, Z., and Omar, M.A. (2012). Bank Customer Classification in Indonesia: Logistic Regression vis-à-vis Neural Networks. World Applied Science Journal, Vol. 18, No. 7, pp.933-938. 6. Abduh, M. and Zabri, Z. (2013). Re-examining the Bank Patronize Behavior in Malaysia: A Logistic Approach. World Applied Sciences Journal, Vol. 25 No. 4, pp. 574-580. 7. Abduh, M. (2013). Prioritizing Issues in Islamic Economics and Finance. Middle-East Journal of Scientific Research, Vol. 15 No.11, pp. 1594-1598. 8. Cupian and Abduh, M. (2017). Competitive Condition and Market Power of Islamic Banks in Indonesia. International Journal of Islamic and Middle Eastern Finance and Management, Vol. 10 No 1, pp. 77-91. 9. Abduh, M. and ZeinIsma, S.N. (2017). Economic and Market Predictors of Solvency of Family Takaful in Malaysia. Journal of Islamic Accounting and Business Research, Vol. 8 No. 3, pp. 334-344. 10. Abduh, M. (2017). Factors Influencing Russians to Patronize Islamic Financial Products and Services: Case Study in Dagestan and Tatarstan. Journal of Islamic Economics, Banking and Finance. Vol. 13 No. 3, pp. 163-173. 1. Sanrego, Y.D. and Abduh, M. (2006). Shariah Compliance of Murabahah Pricing Model: A Critical Review. Tazkia Islamic Business and Finance Review, Vol. 1 No. 2, pp.52-68. 2. Abduh, M., and Sanrego, Y.D. (2008). Comparing Conventional Bank Credit vis-à-vis Shariah Bank Musharakah: Experimental Economic Approach. Tazkia Islamic Business and Finance Review, Vol. 3 No. 1, pp. 43-60. 3. Abduh, M., and Omar, M.A. (2010). Who Patronises Islamic Banks in Indonesia?.Australian Journal of Islamic Law, Management and Finance, Vol. 1, No. 1, pp.40-53. 4. Abduh, M., and Dahari, Z. (2011). Factors Influencing International Students’ Choice towards Universities in Malaysia. African Journal of Business and Management, Vol. 5, No. 26, pp. 10615-10620. 5. Abduh, M. (2011). Islamic Banking Service Quality and Withdrawal Risk: The Indonesian Experience. International Journal of Excellence in Islamic Banking and Finance, Vol. 1, No. 2, pp. 1-15. 6. Abduh, M.,Kassim, S.H., and Dahari, Z. (2012). Customer Satisfaction and Switching Behavior in Islamic Banking: Evidence from Indonesia. School of Doctoral Studies (Europian Union) Journal, Vol. 4, pp. 209-215. 7. Abduh, M., Raudhoh, M.T., and Omar, M.A. (2012). The Performance of Insurance Industry in Malaysia: Islamic vis-à-vis Conventional Insurance. Journal of Islamic Banking and Finance, Vol. 29 No. 4 (Oct.-Dec.), pp.40-49. 8. Abduh, M., and Chowdhury, N.T. (2012). Does Islamic Banking Matter for Economic Growth in Bangladesh?.Journal of Islamic Economics, Banking and Finance, Vol. 8, No. 3, pp.104-113. 9. Abdul Manap, T.A., Abduh, M., and Omar, M.A. (2012). Islamic Banking and Economic Growth: Evidence from Toda-Yamamoto and Bootstrap Granger Causality Test. Journal of Islamic Finance, Vol. 1 No. 1, pp.59-66. 10. Abduh, M., Duasa, J., and Omar, M.A. (2011). Factors Influence Depositors’ Withdrawal Behavior in Islamic Banks: A Theory of Reasoned Action. World Academy of Science, Engineering and Technology, Special Issue 60, pp. 2074-2079. 11. Hidayat, S.E., and Abduh, M. (2012). Does Financial Crisis Give Impacts on Bahrain Islamic Banking Performance? A Panel Regression Analysis. International Journal of Economics and Finance, Vol. 4, No. 7, pp.79-87. 12. Abduh, M. and Omar, M.A. (2012). Islamic-Bank Selection Criteria in Malaysia: An AHP Approach. Business Intelligence Journal, Vol. 5, Iss. 2, pp.271-281. 13. Abduh, M., and Sukmana, R. (2013). The Role of Stock Markets in Promoting Economic Growth in Malaysia: Islamic vis-à-vis Conventional. Global Review of Islamic Economics and Business, Vol. 1 No. 1, pp. 1-12. 14. Abduh, M. and Surur, M. (2013). The Dynamics of Macroeconomics variables and The Volatility of Indonesia Stock Markets: Evidence from Islamic and Conventional Stock Markets. Journal of Islamic Banking and Finance, Vol. 30 No. 3 (Jul.- Sept.), pp. 25-33. 15. Abduh, M., and Omarov, D. (2013). Muslim's Awareness and Willingness to Patronize Islamic Banking in Kazakhstan. Journal of Islamic Banking and Finance, Vol. 30 No. 3 (Jul.- Sept.), pp. 16-24. 16. Abduh, M., Mesic, E., and Omar, M. A. (2013). Profitability Determinants of Islamic and Conventional Banks in Malaysia: A Panel Regression Approach. Terengganu International Journal of Finance and Economics, Vol. 3No.1, pp. 1-7. 17. Abduh, M., Hasan, S.M., and Pananjung, A.G. (2013). Efficiency and Performance of Islamic Banks in Bangladesh: Evidence from the Period of 2006-2010. Journal of Islamic Banking and Finance, Vol. 30 No. 2 (Apr.-Jun. ), pp.94-106. 18. Abduh, M., and Ismal, R. (2013). Depositors’ withdrawal behavior in Indonesian Islamic Banks. Australian Journal of Islamic Banking and Finance, Vol. 2 No.1., pp.1-20. 19. Abduh, M., Kassim, S.H., and Dahari, Z. (2013). Factors Influence Switching Behavior of Islamic Bank Customers in Malaysia. Journal of Islamic Finance, Vol. 2, No. 1, pp. 12-19. 20. Abduh, M., and Idrees, Y. (2013). Determinants of Islamic Banking Profitability in Malaysia. Australian Journal of Basic and Applied Sciences, Vol. 7, No. 2, pp.204-210. 21. Altwijry, O. I. and Abduh, M. (2013). Customer Satisfaction and Switching Behavior in Saudi Islamic Banks: An Exploratory Study. Journal of Islamic Finance, Vol. 2 No. 2, pp. 17-25. 22. Abduh, M. (2014). Withdrawal Behavior of Malaysian Islamic Bank Customers: Empirical Evidence from Three Major Issues. Journal of Islamic Banking and Finance, Vol. 31 No. 4, pp. 43-54. 23. Mahmoud, L.O.M. and Abduh, M. (2014). The Role of Awareness in Islamic Bank Patronizing Behavior of Mauritanian: An Application of TRA. Journal of Islamic Finance, Vol. 3 No. 2, pp. 30-38. 24. Abduh, M. and Othman, A.M. (2014). Service Quality Evaluation of Islamic Banks in UAE: An Importance-Performance Analysis Approach. Journal of Islamic Economics, Banking and Finance, Vol. 10 No. 2, pp. 103-113. 25. Abduh, M. and Idrisov, M. (2014). The Role of Awareness and Perceived Values upon the Acceptance of Islamic Banking and Finance in Dagestan. Journal of Islamic Banking and Finance, Vol. 31 No. 3, pp. 50-60. 26. Nursechafia and Abduh, M. (2014). The Susceptibility of Islamic Banks’ Credit Risk towards Macroeconomic Variables. Journal of Islamic Finance, Vol. 3 No. 1, pp. 30-43. 27. Abduh, M. and Alias, A. (2014). Factors Determine Islamic Banking Performance in Malaysia: A Multiple Regression Approach. Journal of Islamic Banking and Finance, Vol. 31 No. 1 (Jan. – Mar. ), pp. 44-54. 29. Abduh, M. and Alobaad, A. (2015). Factors Influence Customer Loyalty in Kuwait Islamic Banks: An Exploratory Study. Journal of Islamic Economics, Banking and Finance. Vol. 11, No. 3, pp. 167-178. 30. Dahari, Z., Abduh, M. and Fam, K.S. (2015). Measuring Service Quality in Islamic Banking: Importance-Performance Analysis Approach. Asian Journal of Business Research, Vol. 5 No. 1, pp. 15-28. 31. Abduh, M. (2015). Determinants of Islamic Banking Deposit: Empirical Evidence from Indonesia. Middle East Journal of Management, Vol. 2 No. 3, pp. 240-251. 32. Abduh, M. and Ramjaun, S.B. (2015). The Role of Religion in Islamic Bank Patronizing Behavior: A Survey in Mauritius. Journal of Islamic Banking and Finance. Vol. 32, No. 1, pp.70-76. 34. Karim, N.A., Al-Habshi, S.M.S.J., and Abduh, M. (2016). Macroeconomics Indicators and Bank Stability: A Case of Banking in Indonesia. Buletin Ekonomi Moneter dan Perbankan, Vol. 8 No. 4, pp. 431-448. 35. Abduh, M. and ZeinIsma, S.N. (2016). Dynamic Financial Model of Life Insurance and Family Takaful Companies in Malaysia. Middle East Journal of Management, Vol. 3 No. 1, pp. 72-93. 36. Abduh, M. and Baharoon, A. (2016). Oil Prices and Determinants of Islamic and Conventional Banks’ Profitability in Saudi Arabia. Journal of Islamic Economics, Banking and Finance, Vol. 12 No. 2, pp. 72-92. 37. Al-Tarturi, B.H.M. and Abduh, M. (2016). Stock Markets and Economic Growth: A Comparative Analysis between Islamic and Conventional Markets in Malaysia. Middle East Journal of Management, Vol. 3 No. 1, pp. 34-48. 38. Sabirzyanov, R. and Abduh, M. (2016). Islamic Financial Services Patronizing Behavior in Tatarstan: An Exploratory Study. Journal of Islamic Banking and Finance. Vol. 33, No. 3. (July – Sep 2016), pp. 42-53. 39. Abduh, M. (2016). Islamic Banking Service Quality and Deposit Withdrawal Risk: Evidence from Brunei Darussalam. Islamic Banking and Finance Review. Vol. 3, pp. 1-11. 40. Abduh, M. and Hussin, T. M. T. (2017). Factors Influence Intention to Opt for Islamic Investment Schemes among Market Players. Global Review of Islamic Economics and Business. Vol 5, No. 1, pp. 1-11. 41. 41. Abduh, M. and Issa, M. S. (2018). Financial Crisis and Determinants of Profitability in Islamic and Conventional Banks: The Study of Kuwait Banking Industry. IQTISHADIA. Vol. 11, No. 1, pp. 1-26.